Celina specializes in contract fabric cutting. We work closely with various manufacturers everyday to fulfill their cutting needs, whether its fiberglass, mesh, PVC, Kevlar, foam, canvas, or nylon. With a variety of specialized equipment, jobs can be completely efficiently to maximize customer savings. Zünd CNC Cut Centers allow the cutting of simple or complex shapes with superb accuracy. The Zünd has automated all of our cutting and trimming functions, streamlining efficiency and heavily increasing our productivity with the ability to quickly cut intricate tent patterns. The Zünd cut center is efficient, minimizing set-up times, eliminating mistakes and making sure the cutter runs at maximum productivity levels at all times. 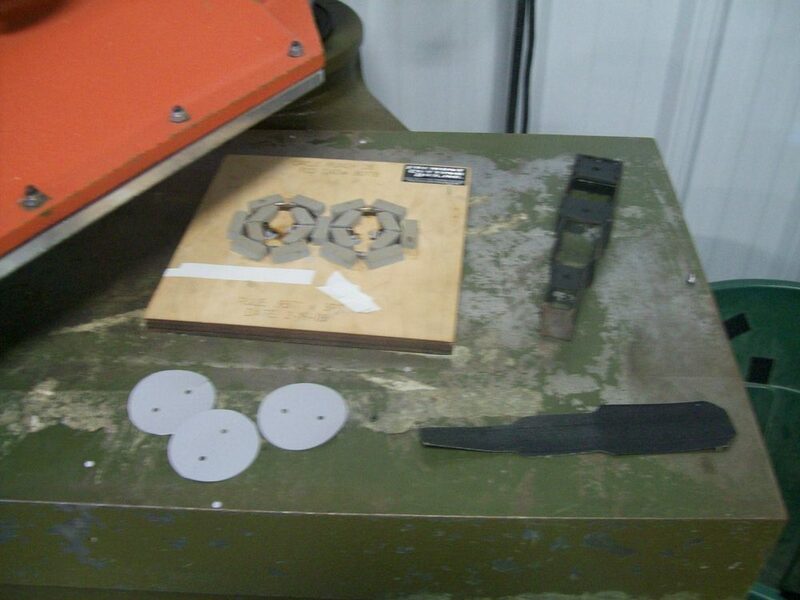 All the operator has to do is input the design and verify that the right cutting tool is being used. Operators can set the project up, begin the cut file, and move to other projects while the Zünd finishes the job. All of Celina's Slitters are designed to handle light-duty slitting jobs for materials that can be cut with a razor blade style knives. This machine can be easily set-up and run by one operator. The design keeps the web path as short as possible to avoid any contaminants, scratching or wrinkles that can be introduced to the web when traveling over numerous idler rollers. Our slitter can cut rolls up to 75” in width. This machine enables us to cut rope, webbing, hook and loop strips, and other rolled goods very efficiently. The machine is programmed with the length that needs cut, the quantity needed, and is then started, eliminating the need for a person to measure the length, and then bring the material to a hot knife to cut it. Celina has multiple Swing Arm Clicker Presses used for a wide variety of die cutting applications. Commonly used to cut soft to semi-rigid materials, items made from leather, cork, rubber, elastic and other like materials are stamped to cut the desired shapes.